Are smart home systems actually safe? In 2017, online retail giant Amazon revealed its plans to introduce a smart home system that allows couriers to unlock its customer’s doors and leave packages inside. 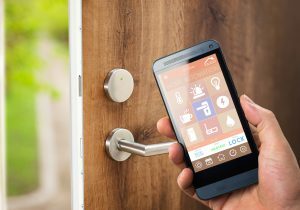 The announcement raised numerous concerns over security and here, Maria Torrisi, business development manager at home automation provider JMartans Automation, explains how smart technologies can make homes safer. Basic smart home technology has been around for years, but it has only recently caught up with the concept of the Internet of Things (IoT). Now, the global market for home automation is expanding at an unprecedented rate and is forecast to reach a value of more than $53 billion by 2022. More importantly, homeowners should consider where they purchase their automation systems from and choose a reliable supplier like JMartans Automation. Purchasing previously owned gadgets and equipment puts homeowners at risk of integrating devices that have been tampered with.